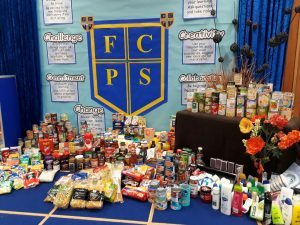 Everyone at Fellside agrees – this was a record year for donations to our Harvest Festival service. 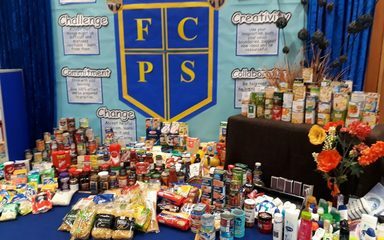 We were quite simply overwhelmed by the generosity from our school community in support of our request for foodstuffs for the People’s Kitchen. We received boxes and boxes of tinned goods, cereals, toiletries, sauces, packets etc. to help the charity to continue to feed those people who need it throughout the winter. Isn’t our Harvest display impressive? Thank you sincerely to everyone who has contributed.